Ulf Hackauf is an architect, urbanist and researcher with a special interest in the relation between food production and cities. Ulf Hackauf has been educated as an architect in Germany and Denmark. Having graduated from Technische Universität Braunschweig in 1999, he moved to the Netherlands to join (EEA) Erick van Egeraat associated architects (now designed by Erick van Egeraat), where he worked as project architect on projects in Germany, Great Britain, Denmark and the Netherlands. His work on the “A.A.Heijmans van den Bergh”-building of the University of Utrecht, was honoured with the Rietveld-prize in 2007. From 2006 until 2008 he worked as project architect at Neutelings Riedijk Architecten, where he oversaw the design of the headquarters of Holland Casino in Utrecht. 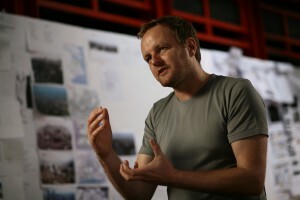 In 2008 he started his own research and design practice. Since 2007, Ulf Hackauf is affiliated as lecturer and researcher with The Why Factory, a think tank for urban visons embedded in the faculty of architecture at the Delft University of Technology. He has acted as program coordinator of The Why Factory until 2014. In this collaboration, Ulf has worked on the topics of sustainability, bottom-up planning, technical innovation and interactive design. He co-authored the Why Factory’s publications Visionary Cities (NAi publishers, 2009), Green Dream (NAi publishers 2010/2013), Vertical Village (NAi publishers, 2012) and The Transformer (nai010 publishers, expected 2014). In 2015, Ulf Hackauf joined the chair of Environmental Technology and Design at the department of Urbanism of the Delft University of Technology, where he concentrates onon design-based-research on urban metabolism, with a focus on food. 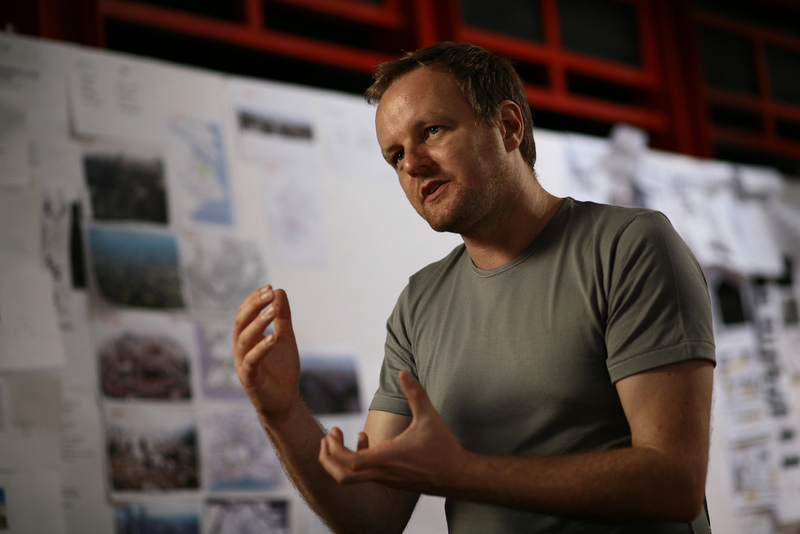 Ulf has taught at numerous architecture schools, including the Academie van Bouwkunst, Rotterdam; Tamkang University, Taiwan; Chinese University of Hong Kong; Tarumanagara University, Jakarta; Aedes Network Campus, Berlin; Yonsei University, Seoul; Piet Zwart Institute, Rotterdam; Berlage Institute, Rotterdam, the ETH Zürich and the IIT Chicago. All content on this site is protected by copyright law.